AlliKat Quilts: Nautical Rail Fence Baby Quilt Plus a Few Older Ones. 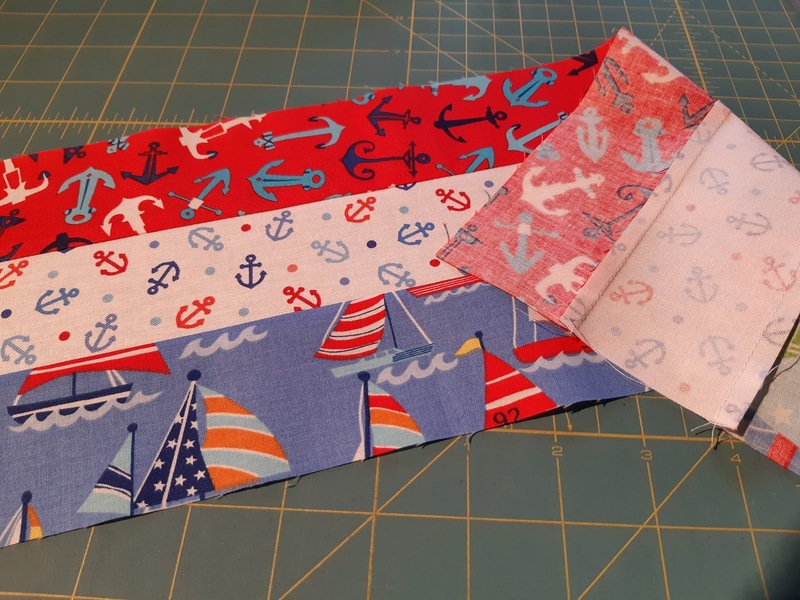 Nautical Rail Fence Baby Quilt Plus a Few Older Ones. 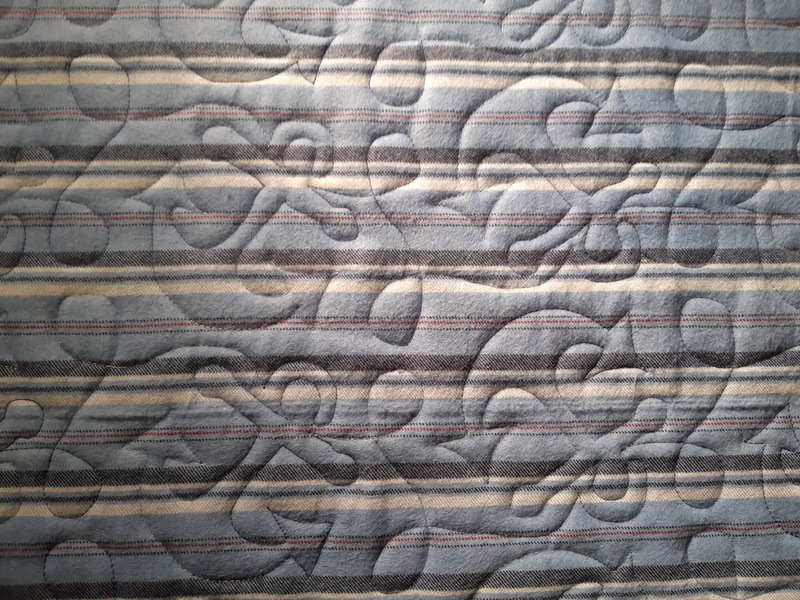 A co-worker I haven't seen for approximately six years contacted me to see if I was still making baby quilts. I had made two for her a dozen or so years ago. 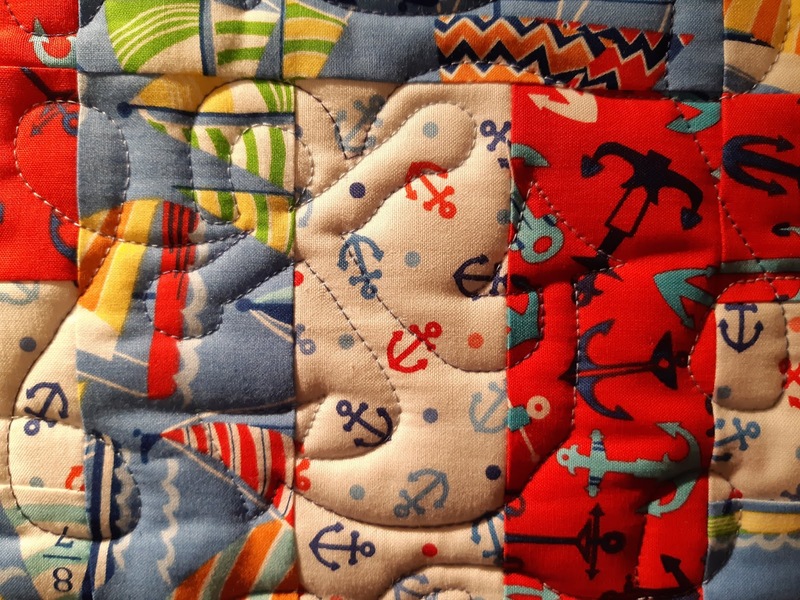 She wanted a nautical baby quilt made the same way I had made the others. I said yes of course and after buying fabric started making strip sets. It only took me three hours from cutting the strips until I had the top made. 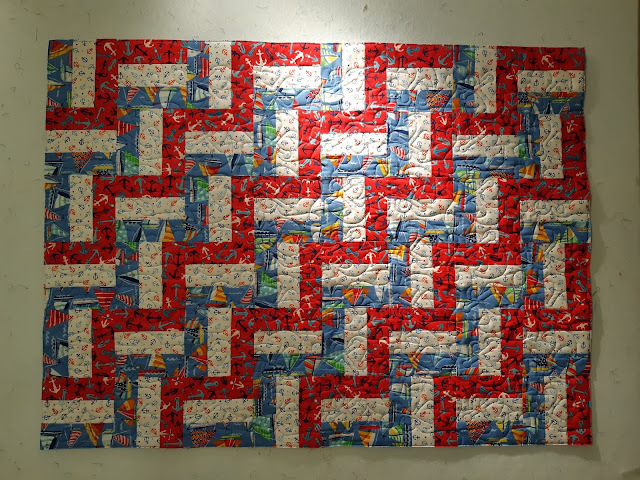 The next day I quilted it with a paper pantograph using a laser light on my quilt frame. Here's a close up so you can see the anchors. You can see them better on the flannel back. So now all that's left is the binding and a little drawstring bag made with the left over fabric to gift the quilt in. I won't get to that until the weekend as I am attending an all day sewing class on Friday. 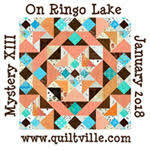 I went looking and found a picture of some of the other quilts. Glorianna is holding up one of the gift bags and the quilt to go in it is on the desk in front of her. You can also see a little bit of the gift bag for the other quilt peeking out from under the quilt. I don't appear to have taken a picture of the second quilt but it was made with a blue gingham and Noah's ark fabric in both blue and yellow. I made the labels on the bags by printing on specially treated fabric with a coloured ink jet printer. Here are several more rail fence baby quilts which were made for other co-workers who all seemed to be having babies around the same time. It was awhile ago, but I think Marilyn and I pieced them and I quilted them and she bound them. This one isn't quite in focus. I really like the sheep flannel on the back of this one. They are good sized crib quilts, 36" x 48" before washing. I'll post again when I get the latest one bound and the bag and label made. This label will just be hand written though.